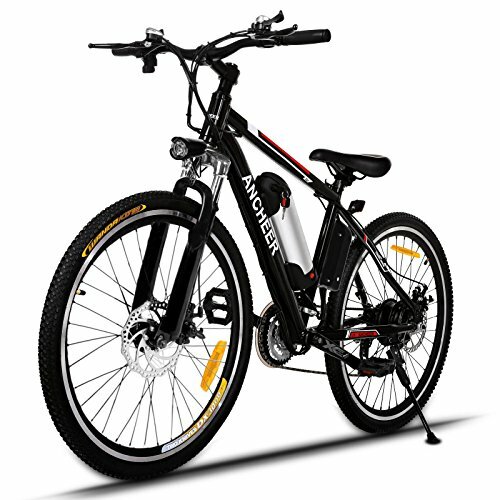 Finding a good quality, high performance and roust electric bike is no easy task. It’s even harder to find the best electric bikes under $1000. So we have done the hard work for you, it is quite tricky as the more expensive ones are generally more good but we have done lots of research to find the best electric bike for Commuting, best electric foldable bike etc. This is to give you a well-rounded choice of what bike to go for and most importantly we included the warranty of each bike as some places are quite vague about them and it super important that you have some warranty as electric parts can tend to break if not treated with care. And lastly to make things even easier for you they’re all available on Amazon so you can have it in a few days right at your door and also have peace of mind on returns/complaints etc. The Aceshin is simply put as the best elecric bike for commuting under $1000!I bought this bike for commuting. You really do get the best value for your your money with this electric bike. 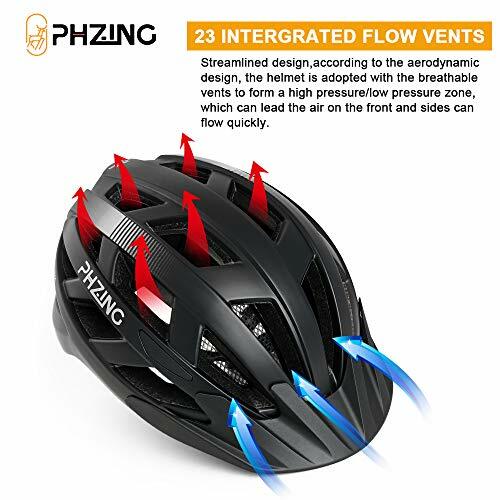 Even if you are in an area with a lot of hills and steep inclines, the motor on the bike will handle these effortlessly coupled along with the pedal assist. 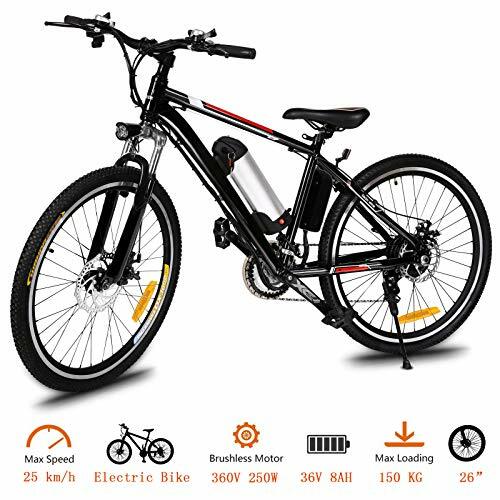 This bike is perfect if you are not the fittest person as it would be very tough go up hilly areas without the powerful 250 watt motor on the bike. The low, medium and high pedal assist options are really good with and it is very easy to assess which option you’ll need depending on the hill. The battery is a lot heavier than you would expected when holding it (sort of feels like holding a 3litre bottle of soda) But this can be forgiven because of the other fantastic features of the bike. After testing this bike it had 5 charge Bars on power panel, I was able to cycle about 12 miles with that many bars, my route included a lot of hills and even more to get back home. After all of that there was still 2-3 Bars left by the time I got to my front door, using a varied amount of low – high pedal assist for the hills and some throttling (3-5) mins worth for fun on flat surface. It had started to rain on my return back however, the bikes power maintained fine and the motor just kept plodding on like it wasn’t raining, I was relieved as I had still a lot of hills and steep inclines to cycle up to get back home. The only drawback was that because of the heavy rain I removed the battery, there was a small puddle of rain water in the cup area where the battery rear end plugs into, I quickly dried this off with a towel, so it is recommended to get May be worth your time buying some water sealing tape to put around this area as dry as possible. In summary this is a great bike for commuting and you get a decent bike for your money. This is the Best all round electric bike under $1000. Out of the research we done this came very high in our list as it ticked a lot of boxes and it is why it one our editors choice award. You have this bike delivered to a store of your choices and assembled for you. The dashboard is very intuitive, it tells you all you need to know, battery life, speedometer, odometer, motor control. The motor starts up flawlessly, you can hardly can tell when the motor is running and when it isn’t. It can take up to 300lbs and handle different terrains very well. You can easily average 13 mph effortlessly on the #4 setting. and if you want to max it out you can go to 23 mph that is advertised. Another thing we like is the battery holds is charged and performs as advertised which not common in electric products. 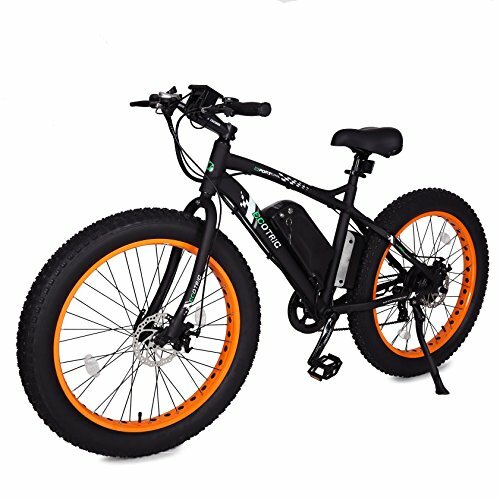 2 year warranty its a no brainier if you want a good e-bike under $1000. 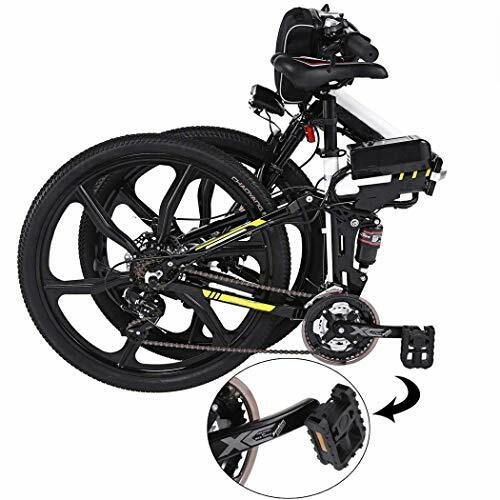 Foldable frame with connecting rod lock and self locking type safety hook Overall, the performance and the versatility of this electric bike makes it good for anyone. You will get hours of fun with this bike and have piece of mind if anything breaks over 2 years you can get it replaced free of charge. This is definitely one of the best electric bikes under 1000 dollars. The frame is constructed from an industrial aluminum alloy that makes the electric bike very light but strong also. The frame is coated with an rust-resistant and anti-exposure paint to make it more tough. The wheels are 26 inch magnesium alloy wheels that have an anti-slip resistance tire. 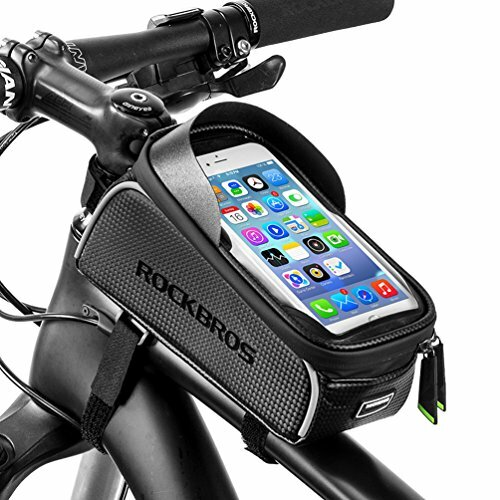 This allows the entire bike to be suitable for any weather condition essential for mountain biking. The Ancheer can run for a maximum distance of around 30 miles maximum range when in its assistive mode. The battery is able to charge fully in 4-6 hours. 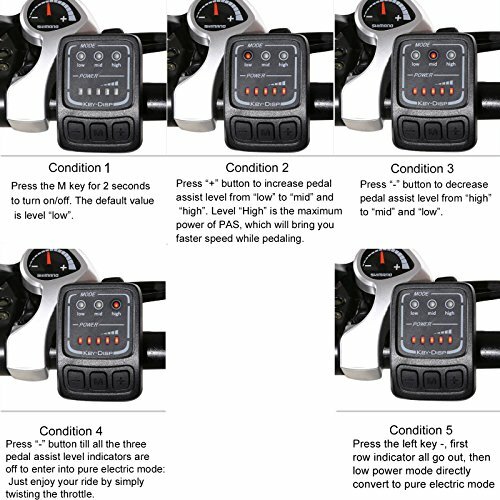 How much power you want the bike to exert depends on the mode you use. It compromises of 2 modes: Assistive and e-bike. E-bike will power the entire bike for you so you don’t have to pedal at all! Assistive mode will give you a small bit of power to assist you in pedaling. This is all controlled by a small panel on the handlebars. Overall, the Ancheer is a great e-bike that is well worth your money ( less then $700). Mountain biking with the electrical assistance makes it so simple to climb steep terrain or difficult environments. Therefore if you are not entirley sporty but want to enjoy a nice ride it opens doors for you. The Hurbo Folding electric bike is a great reliable bike and is a worthy investment option under $400! The Hurbo has a 21 speed so what ever speed you need when biking there is a gear for you. The brakes are quality and reliable to bring you to a safe stop after riding. The battery is charge holds quite well and a full charge can be achieved in less then 3 hours. The Hurbo bike comes with a smart app which can go many really cool features. You can lock your bike with a password! meaning your high investment is secure even when you are not there. It also features GPS system which is convenient just in case you get lost. Being able to fold as well is a handy feature which can save you on storage space and is also useful if you don’t want to lock your bike outside, you could get a carry case and take your bike with you. The Hurbo also features has 2 modes E-bike & Assisted bicycle. You can choose the e-bike to enjoy a long time travel without pedaling, and also you can choose the PAS mode. Meter has 3-speed smart buttons. Enjoy your ride with any mode! This a great for beginners as it is much smaller then traditional bikes and good to get used to before jumping on the massive mountain bikes. This is a relatively new electric bike made to the highest standards possible. It is frame is 100 % aluminum alloy and carbon steel front wheel. There is a 3 meter button for ease and comfortable shock absorption. In regards to safety, the bike features both the front and rear disc brakes and a 21-speed gear system. You can simply choose a speed that fits your biking needs and distance. Choose from the e-brake or assisted mode depending on how you feel and how best to enjoy the ride. 2 modes are always better for exercising and enjoying your ride at the same time. This is an ergonomic bike with a fully adjustable seat, wear resistant tire and good grips. The design is lightweight and efficient enough to take with you everywhere you go.